Neera Tanden, in case you are unaware, is a longtime Clinton and Obama insider and CEO of the plutocrat-backed think tank Center for American Progress. 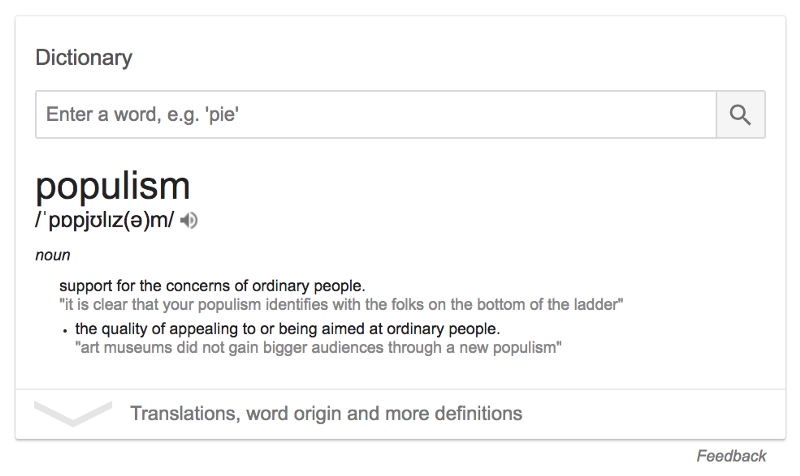 Her emails featured prominently in the 2016 Podesta drops by WikiLeaks, which New Republic described as revealing “a pattern of freezing out those who don’t toe the line, a disturbing predilection for someone who is a kind of gatekeeper for what ideas are acceptable in Democratic politics.” Any quick glance at Tanden’s political activism and Twitter presence will render this unsurprising, as she often seems more concerned with attacking the Green Party and noncompliant progressive Democrats than she does with advancing progressive values. Her entire life is dedicated to keeping what passes for America’s political left out of the hands of the American populace. “I do think if you’ve served in government -this isn’t universally true but somewhat true- that you do have somewhat more of a sense of the complexity of things, and many of its decisions are not black and white, that in public policy there are plusses and minuses to most policies,” Kristol said. I listened to the whole conference, but it was basically one long smear of amicable politeness which was the verbal equivalent of the color beige, so I had difficulty tuning in. 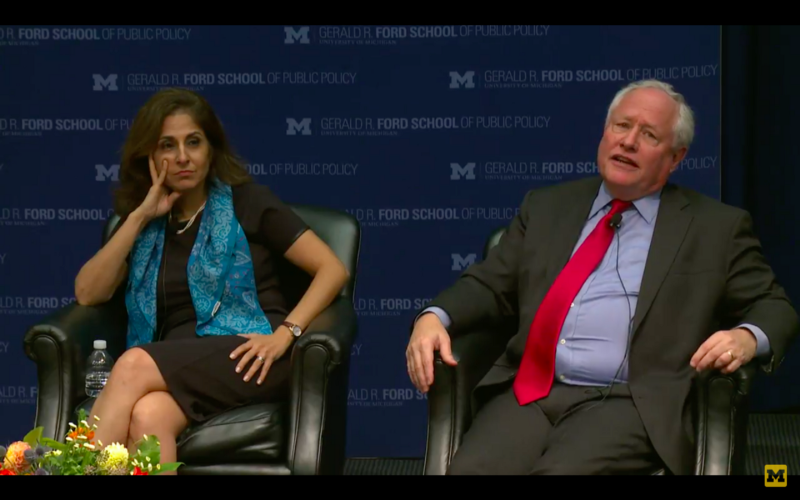 Both Tanden and Kristol hate the far left (or as those of us outside the US pronounce it, “the center”), both Tanden and Kristol hate Trump, and hey maybe Americans have a lot more in common than they think and everyone can come together and together together togetherness blah blah. At one point Kristol said something about disagreeing with internet censorship, which was weird because his Weekly Standard actively participates in Facebook censorship as one of its authorized “fact checkers”.